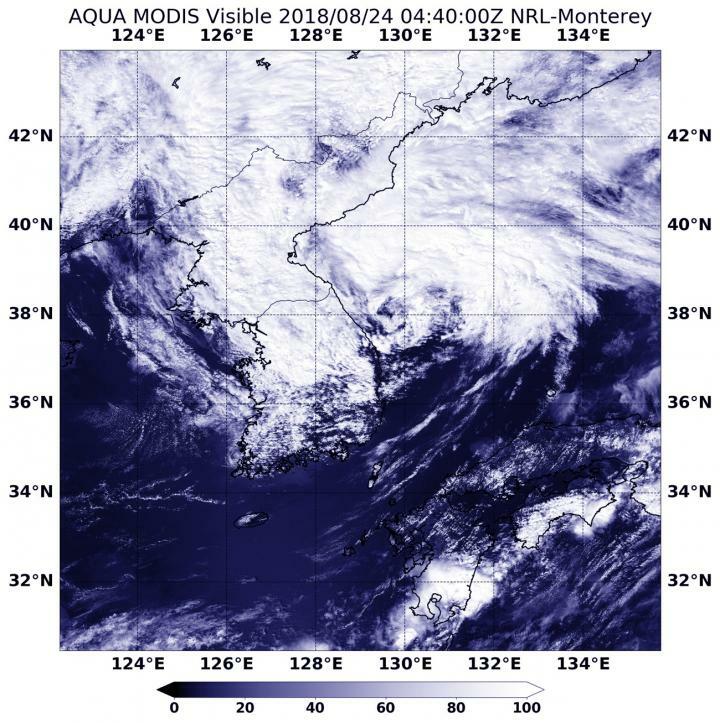 On Aug. 24 at 12:40 a.m. EDT (0430 UTC) the Moderate Resolution Imaging Spectroradiometer or MODIS instrument aboard Aqua captured a visible light image of Soulik after it moved off the Korean Peninsula. The image showed the bulk of clouds were being pushed north of the low level center, as the southern quadrant was almost devoid of clouds, except for a small ring around the center. At 11 a.m. EDT (1500 UTC) on Aug. 24, the center of Tropical Storm Soulik was located near 41.0 degrees north latitude and 133.0 degrees east longitude. That's about 349 nautical miles northeast of Yongsan. The Yongsan Garrison located in the Yongsan District of Seoul, South Korea. Soulik is speeding to the northeast at 36 knots (41 mph/67 kph) and maximum sustained winds are near 35 knots (40 mph/62 kph) with higher gusts. The Joint Typhoon Warning Center or JTWC expects Soulik to move rapidly across the Sea of Japan and will become extra-tropical before reaching Hokkaido.